Demons, Angels, and Miracles from God Over a thirteen year period of time, bestselling author Lynn Hardy has…Heard the voice of GodReceived two undeniable physical signs from GodSeen angels and demons on thirteen separate occasionsBeen healed three times from serious and fully documented medical conditionsHave you ever wondered…What do angels and demons look like?How can angels help us?What proof do we have that angels are among us?What power do we have over demons? 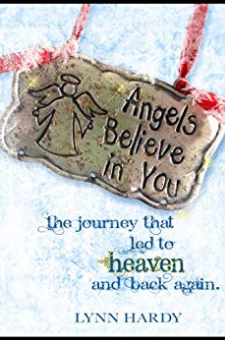 Inside the pages of “Angels Believe in You” you will find some surprising answers.Make no mistake; Lynn does not claim to be an expert on angels or demons. She is neither the epitome of Christian perfection, nor a Bible scholar. However, what happened to her is both astounding and irrefutable.It is Lynn’s sincere hope that these extraordinary events that have changed her life will comfort and help you through whatever challenges you face — now or in the future.